We are papermilldirect, a leading online craft store for craft paper and card, envelopes, card blanks and much much more. Papermill Direct are an e-commerce business, working with a wide range of suppliers to provide high-quality card and paper. We operate mainly in the UK and Ireland, however we also supply most EU countries and Scandinavia, and are proud to be one of the largest stockists of coloured paper and card. 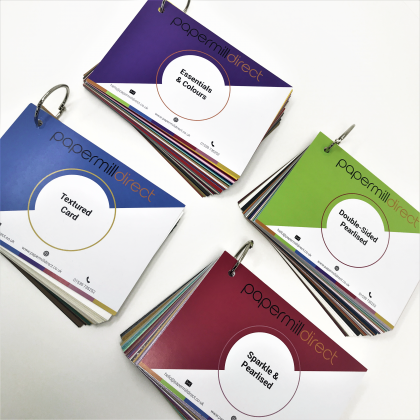 This allows us to provide a wide range of high-quality paper, card and craft products directly to you, and means that, when you order your craft supplies from papermilldirect, you can expect a premium quality product that perfectly meets the requirements of your next project. We understand how your requirements for your materials can change from project to project, and we have used this idea to inspire our popular pick and mix paper boxes that you can build yourself based on your specific requirements. 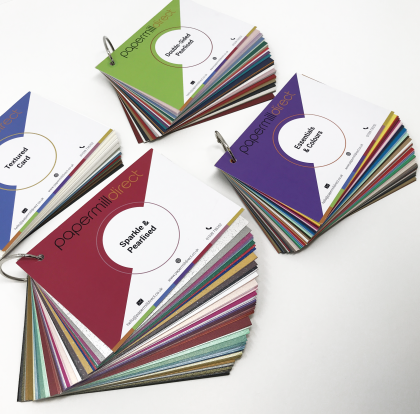 If you’re not sure which of our paper and card products to pick, we also have our sample range, which allow you to select 10 samples from our great range for just £1 and no additional shipping cost. At papermilldirect, we go beyond supplying you with the best quality craft products – we also help you to get the most out of them! Our blog is the perfect place to find a number of online tutorials, regularly updated to help you gain new skills and create something a bit different. To us, ensuring that you receive outstanding customer service is of paramount importance. From ordering our products online to when you receive them on your doorstep – and everything in between – we work hard to ensure that you have a great experience that matches the luxurious quality of our products. As a company, we are also highly focused on being as sustainable as possible, and we are fully committed to our practices being non-polluting and as environmentally-friendly as possible. So, what are you waiting for? Browse our fantastic range of products across our website and order online today! If you have any questions about our products, please visit our help page. You can also get in touch with us today via our online contact form or by calling 01539 735252.